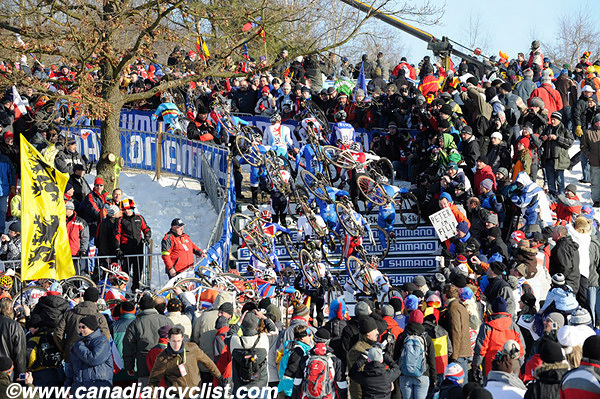 Tomorrow morning, the first world championships of 2015 will get underway in Tabor, Czech Republic, with the Cyclo-cross Worlds. This is the third time the 'Cross Worlds have been held in Tabor, after very successful editions in 2010 and the first time in 2001. Just like 2010, snow has rolled in prior to race days, however, it was not nearly as much as last time, and has already begun to melt slightly in the winter sun, making the track rutted, sloppy and muddy in places. The forecast is for sun and cloud over the next couple of days, with no snow expected. However, there will be some wind, so it could get rather chilly. The 3.1 kilometre circuit shares many of the same features as the 2010 one. 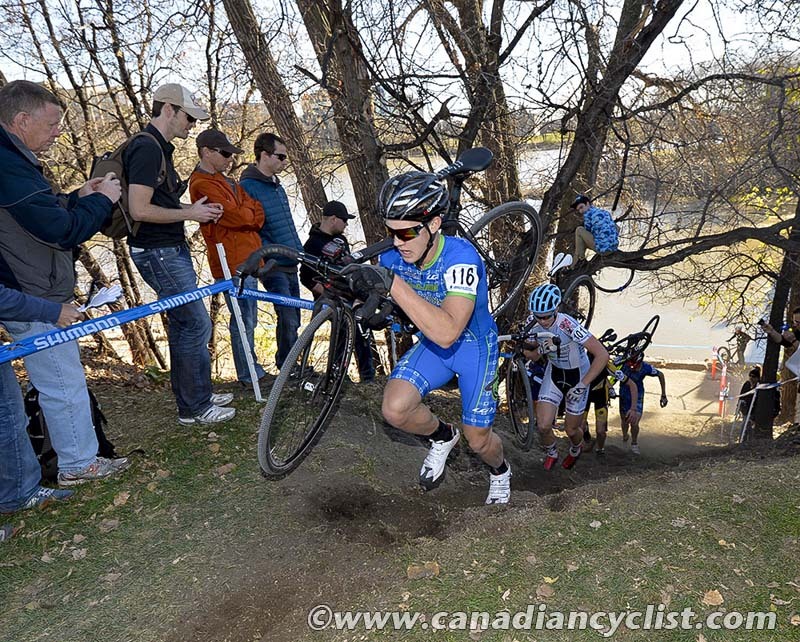 After going through a wooded section following the grassy start, riders hit a steep set of stairs. The next major obstacle is the barriers, on an incline. Last time, the ground was hard and fast, and a few riders actually hopped them, but if it is muddy this will likely be a running section. After reaching the highest part of the circuit there is a long descent back to the finish line. The perennial favourite is Marianne Vos (Netherlands) who, with six consecutive titles, should own this, but she has been struggling with a hamstring injury and finished a distant 12th in the mud last weekend at the World Cup final. However, she should never be underestimated. Her regular rival in the past has been American Katie Compton, but the U.S. rider has been struggling all season with allergies and breathing problems. Sanne Cant (Belgium) took the World Cup title and is showing great consistency, but Czech hopes will be on Katerina Nash, who has a World Cup win this season. Others to watch include Italy's Eva Lechner, who won the World Cup final last weekend and road world champion Pauline Ferrand Prevot (France). 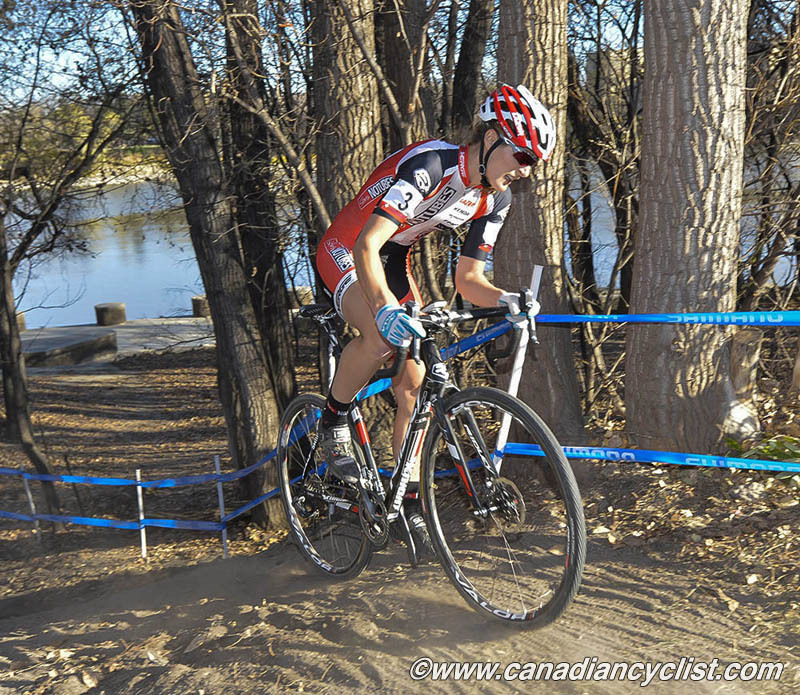 Canada has one woman racing - Mical Dyck. "The course is a good mountain biker course, lots of corners, some good climbing and lots of mud and frozen mud ruts. Going to be fun madness tomorrow." Unfortunately for Czech fans, national hero and defending champion (both 2014 and from 2010 in Tabor) Zdenek Stybar will not be racing, after a collarbone injury put him out of action. World Cup champion Kevin Pauwels (Belgium) is one of the favourites, but he has been beaten in recent weeks by last year's Under-23 world champion, Wout Van Aert (Belgium), and Mathieu van der Poel (Netherlands), an Under-23 rider who has elected to ride in the Elite field. Others to watch include Belgians Sven Nys and Klaas Vantornout, Francis Mourey (France) and Lars van der Haar (Netherlands). Canada has three entries - national champion Mike Garrigan, Aaron Schooler and Mark McConnell. Schooler: "I think the course is going to be quite tricky. Half of it is frozen and the other half is Belgian style mud with ruts everywhere. When those two quickly transition it really makes it hard to judge how grippy or slippery certain sections of the course are. Some of the ruts that are being created are really frozen and if the sun comes out it makes them softer and a bit more grippy. But it's really hard to judge when that change happens. I'll try and spend as much time on the course as I can tomorrow and before my race on Sunday to try and figure out what will be best. At this stage it's a bit too early to even be able to choose what tire I'll be using let alone tire pressure..."
McConnell: "The course is riddled with fruitless and dangerous ruts thanks to a recent snowfall in Tabor. I expect as the weather warms slightly over the next days, combined with the other categories of racing, whatever green grass there was will continue to degrade, thus exposing it's watt ingesting muddy underbelly. We've got a slogfest on our hands, but the kind that gives you hope that you're not quite out of it if you just keep pushing. Lead lap or bust - a finish here at World's would be oh so sweet." With the absence of top contenders Wout Van Aert (Belgium), who has moved to Elite, and Mathieu van der Poel (Netherlands), who has elected to race in the Elite category, World Cup winner Michael Vanthourenhout (Belgium) and Laurens Sweeck (Belgium) are favoured. Italian Champion Giole Bertolini and French riders Fabien Doubey and Clément Venturini are also podium threats. Canada has one entrant, national champion Danick Vandale. "After some pre-riding laps of the course, most sections are going to require lots of power with the various changes in terrain. A good start to the race is crucial for me, as I am starting a few rows back and coming into the first corner with a poor positioning, [which] will be tough to recover from on this course. Keeping my speed up through the corners and making sure I'm in the right gearing before dismounting will also help keep my momentum rolling to preserve energy. All in all I'm thankful for all the support given to us throughout this past year and to represent the Canadian flag at the World Championship." 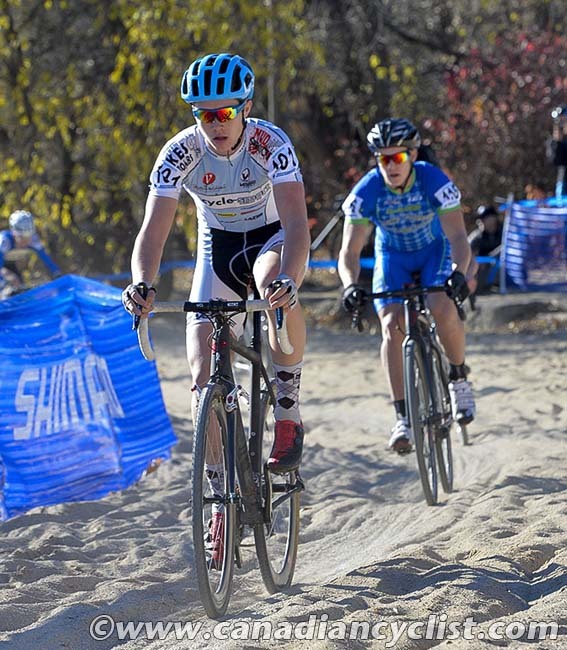 The only surprise in the Junior men's race will be if Belgian Eli Iserbyt doesn't win. Iserbyt has been pretty much untouchable all season, winning 19 of 20 starts, the World Cup title, plus the Belgian and European titles. The one rider who has beat him is Johan Jacobs (Switzerland). U.S. and Pan Am champion Gage Hecht also has a shot at a podium spot. "Having never raced cyclo-cross outside of Manitoba, or in real mud, or anytime past October, Hoogerheide [Netherlands, World Cup final] was my first 'real' cyclo-cross experience. 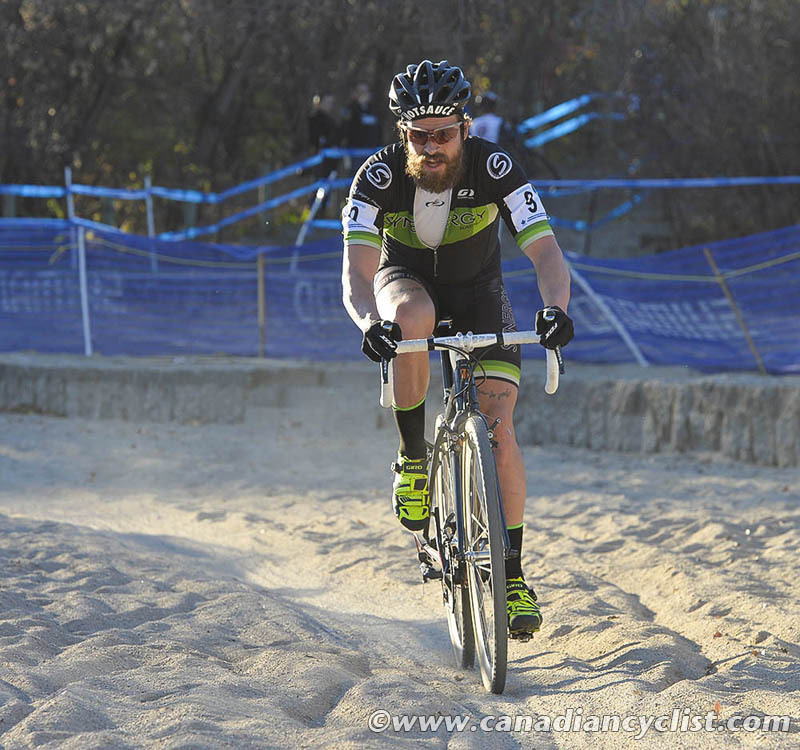 After receiving a beat down at the race last weekend, my eyes are now open to the challenges of large-scale cross racing. My biggest challenge tomorrow will likely be the start: the most crucial part of the race. A fast downhill turn, which quickly changes into a bottlenecked section of mud and ice, will make gaining positions quite difficult, especially starting behind so many fast riders. After that, it will be difficult to navigate through the frozen ruts and technical turns as I try to gain positions. 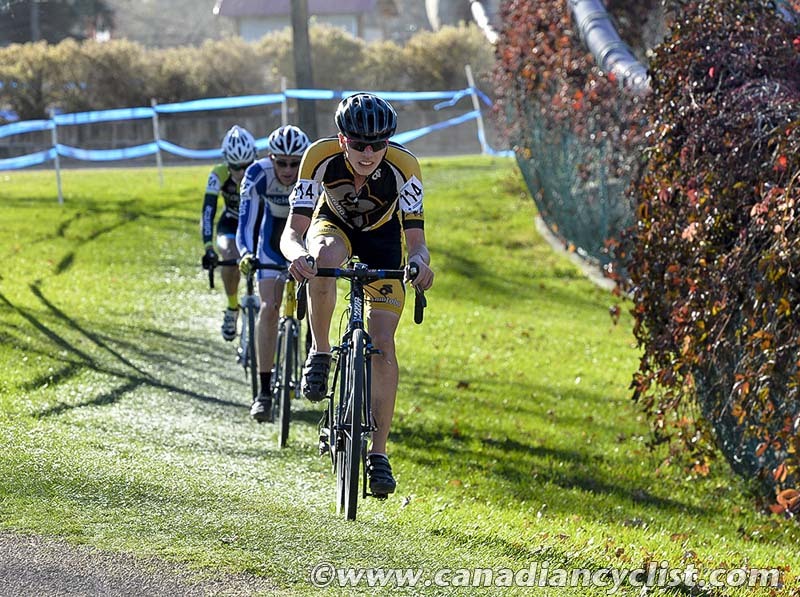 The course is very different from Nationals, which was dry and fast - perfect for me. I am prepared to be faced by many challenges tomorrow, but am excited to race with the best in the world and see how I compare. Wherever I finish, I'm honoured to represent Team Canada and all the people who have helped me get here!" 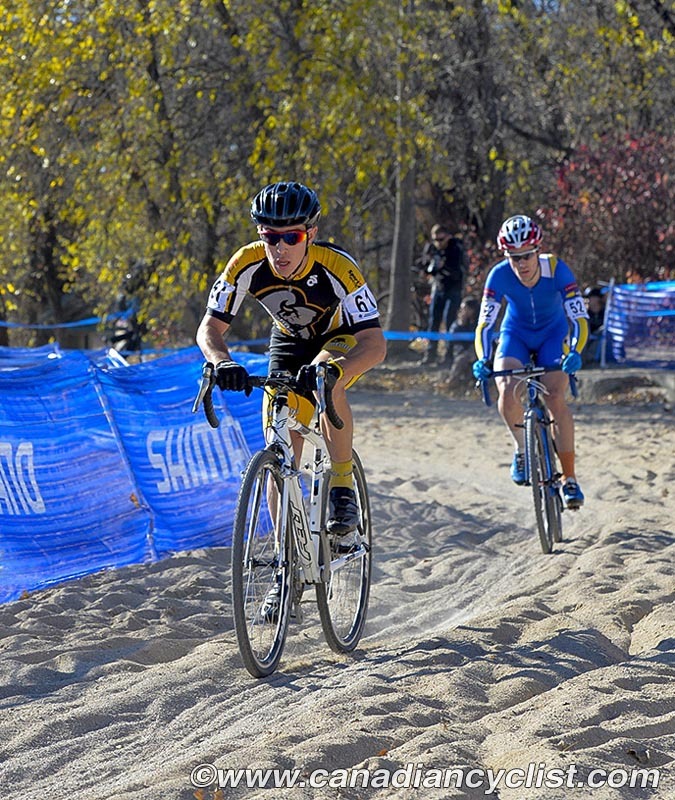 "The Tabor CX course is nothing like I've experienced before. With the frozen ruts and big technical sections, it is going to be just as mentally tough as it will be physically. I think with all of the technical, and big power areas, this course will suit my mountain biking background. I'm super excited to wear the Canadian flag at Tabor and race my heart out! GO CANADA!!!" "The course has quite a few challenges, being frozen in the shaded areas and muddy where the sun can thaw the ground. Overall, a challenging course as well as a fast course. Should be interesting to see how this plays out." "The course is very tough this year. It is considered a power course but it is also very technical because of the weather. The entire course is frozen solid and there are deep muddy ruts from days prior. The race will be very hard and I believe I can excel in the frozen slippery stuff, as that is what I am used to. I look forward to the race and I hope it stays cold." 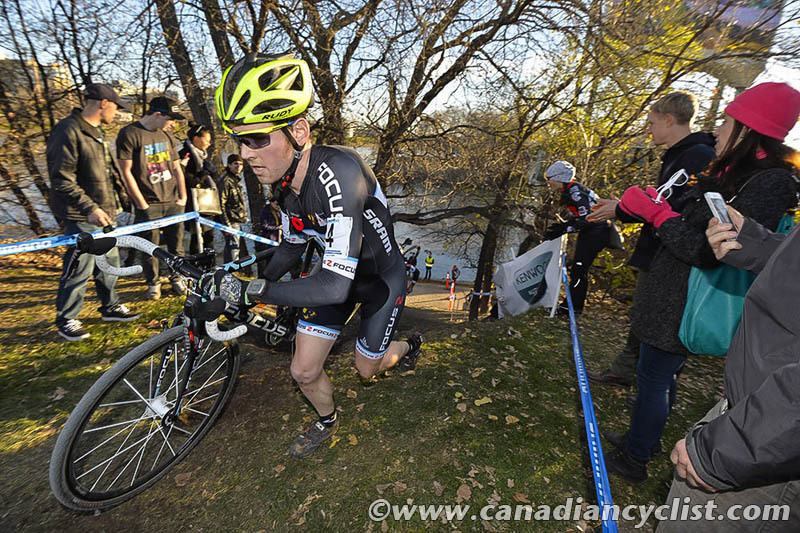 "The course in Tabor is challenging both technically and physically. 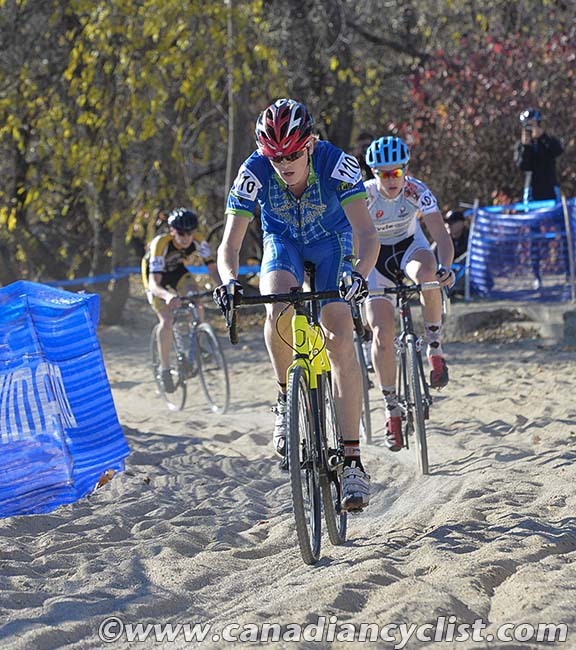 The frozen ruts combined with technical sections and quite a bit of elevation change all make for a difficult course. Given that there are a lot of short punchy climbs, this course is very much a power course. The up and overs, sweet corners and some unique sections all make for an awesome course."